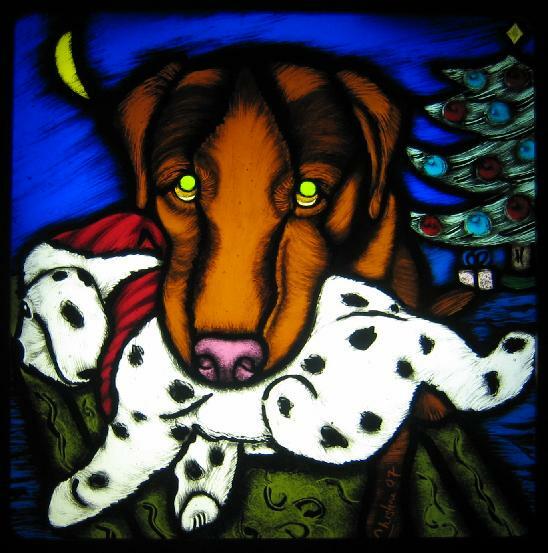 These 8″ x 8″ Original Vitri-Fusáille Glass Panels are my signature collection of “Dog Stories”. 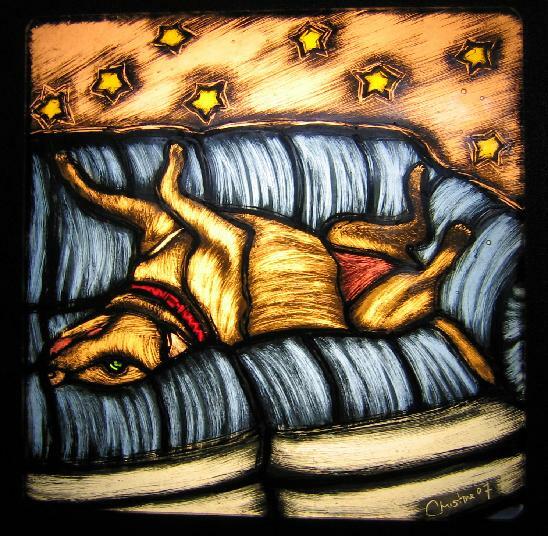 Each Vitri-Fusáille Glass Panel tells a different story of the fun moments in time in a dog(s) life. It is up to you interpret the tale of each story! If you would like to know more about the Vitri-Fusáille technique, check out my Vitri-Fusáille Glass Art web page. 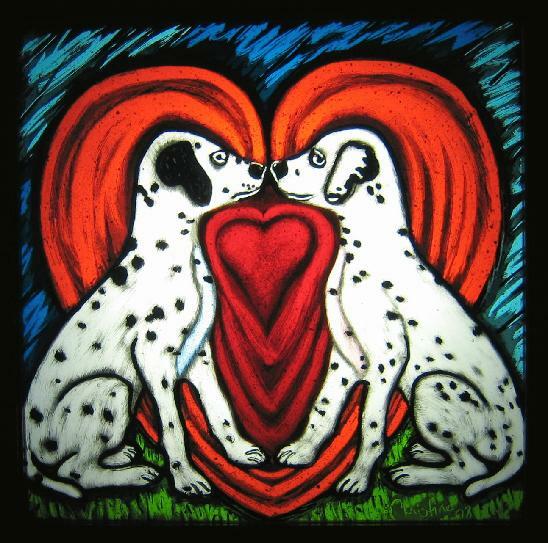 Each original Dog Story 8″ x 8″ Vitri-Fusáille Glass Panel includes a 8″x 8″x 4″ lightbox I designed especially for this technique so the unique glass art piece can be illuminated day and night! . 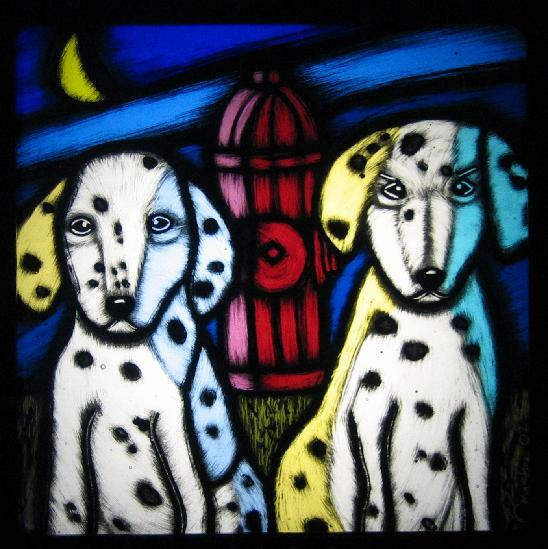 For more detail regarding the lightboxes, go to my Christine’s Lightboxes webpage. If there is a particular story that you would like to capture of your pet, please contact me at christinesglass1@gmail.com. 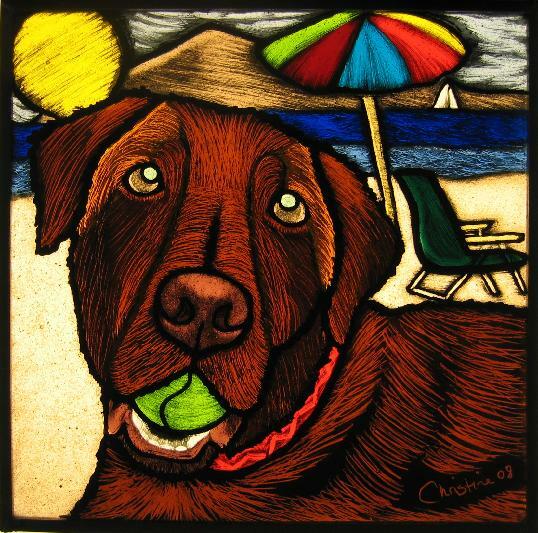 © 2013-2018 Christine’s Glass, Inc.